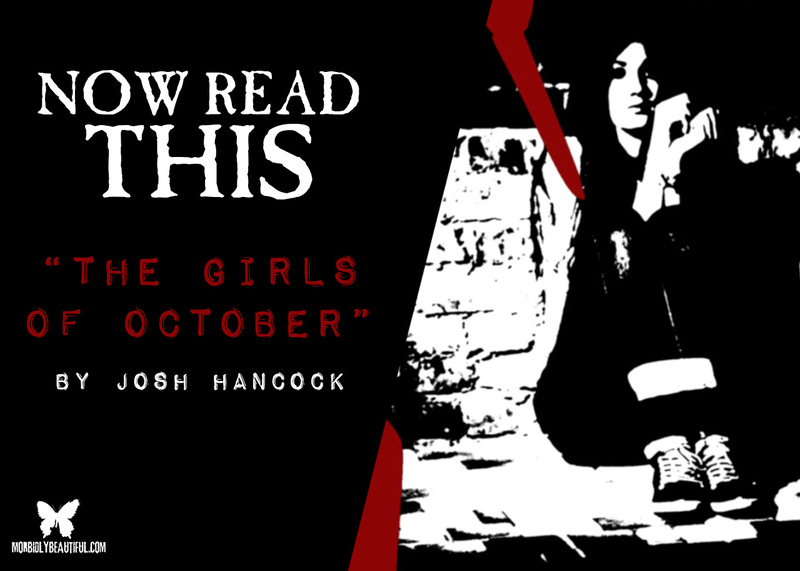 Equal parts true crime, mystery thriller, psychological horror and film history, The Girls of October is a remarkably original work of fiction that’s impossible to put down. Although a work of fiction, The Girls of October reads like a true crime story, piecing together the events leading up to a grisly murder spree on a college campus — from tabloid and news articles, police reports, witness and psychiatric interviews, personal accounts and writings from the suspected killer. On Halloween night in 1981, three college girls at Woodhurst State were brutally murdered in an extremely violent and horrific way. A fourth girl was attacked but miraculously survived the encounter under mysterious circumstances. The primary suspect Beverly, a young film student and self-proclaimed horror nerd with a tragic past and a history of psychological problems. Following the murders, Beverly disappeared without a trace. 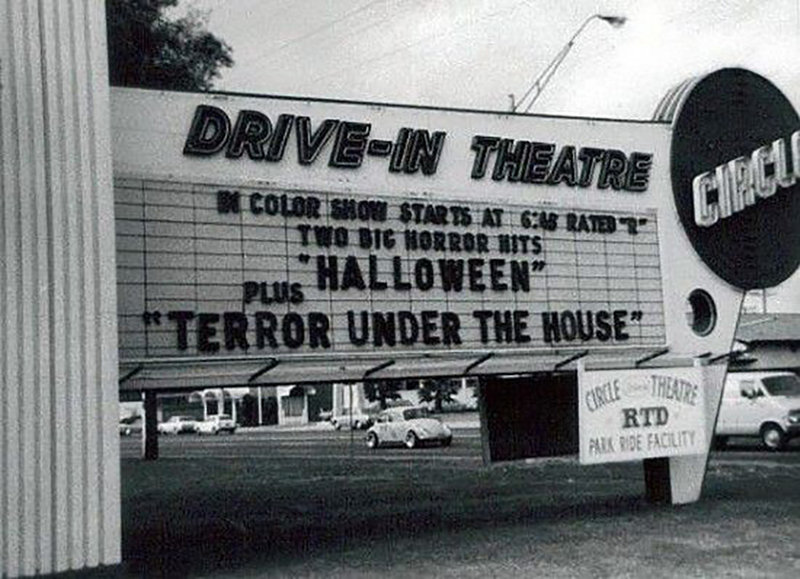 And the gruesome unsolved case remains constant fodder for tabloid rumors and sensationalized accounts of the girl’s troubled past and obsession with horror films — specifically John Carpenter’s Halloween. A girl who spent her entire life under the shadow of a mentally unstable mother obsessed with the occult, Beverly immediately developed a love-hate relationship with the 1978 horror classic. On one hand, the film terrified her to her core — beyond the healthy amount of fear most viewers experienced when watching the film. To her, it confirmed her long-held suspicion that the bogeyman was in fact very real and not just the stuff of scary stories and legends. On the other hand, this realization brought her a strange sense of comfort. She believed there were hidden messages in the film, telling her she wasn’t crazy for believing in the bogeyman. Beverly was convinced the film could help her uncover the truth about the horrifying darkness that had plagued her throughout her entire life…a darkness that consumed her mother and eventually claimed her life. Like so many horror fans, Beverly embraced genre films and stories as an escape from a world that had not always been kind. She found a sense of comfort in the twisted and violent images and themes that were too disturbing and upsetting for so many others. She was often judged unfairly for her interest in the macabre, and this fascination with evil gave many all the evidence they needed to convict her of murder in the court of public opinion. At its core, The Girls of October is a love letter to horror and a celebration of the films that, for so many of us, began our passionate affair with the genre. 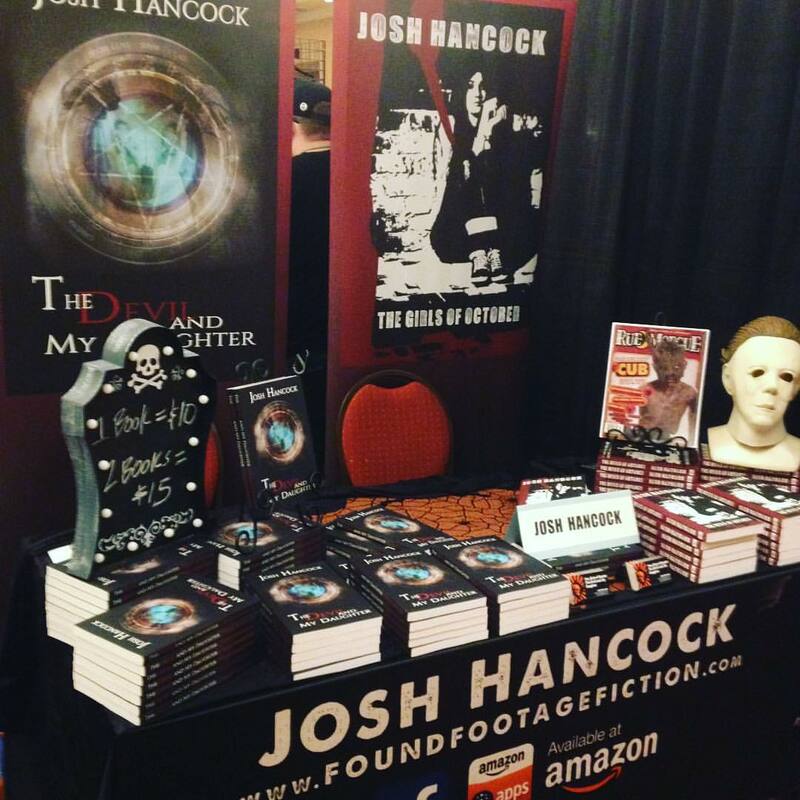 While the core of the novel focuses on unraveling the mystery behind the notorious “Woodhurst Murders”, author Josh Hancock cleverly uses Beverly’s love of horror films (an obsession many believe may have driven her to commit murder) to discuss conventions of the genre in depth. Thus, there’s more than a healthy dose of film criticism and analysis, but it’s delivered as integral part of the developing plot. By analyzing the socio-political subtext, allegory and cultural relevance of important horror films (including The Last House on the Left and, of course, Halloween), we as readers are given a revelatory look inside the mind of our central character. 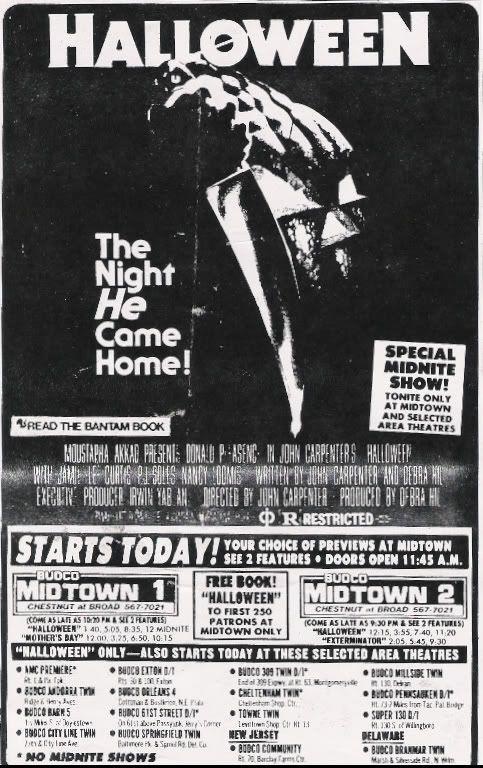 In fact, towards the end of the novel, Hancock includes a 20-page research paper written by Beverly for a college course —an in-depth analysis of the motifs and complex themes of John Carpenter’s Halloween. It’s enough to make you want to immediately re-watch the slasher staple in search of your own deeper understanding, perhaps viewing the film with a fresh new perspective. The Girls of October was an absolute joy to read — refreshingly original and brilliantly unconventional. It’s unlike anything I’ve ever read, leaving a strong and lasting impression. While the unorthodox narrative approach may turn off some readers, I suspect most horror and thriller/true crime aficionados will find a lot to love in Hancock’s riveting tale of murder, mystery, and the demons — both metaphorical and literal — we can never escape. 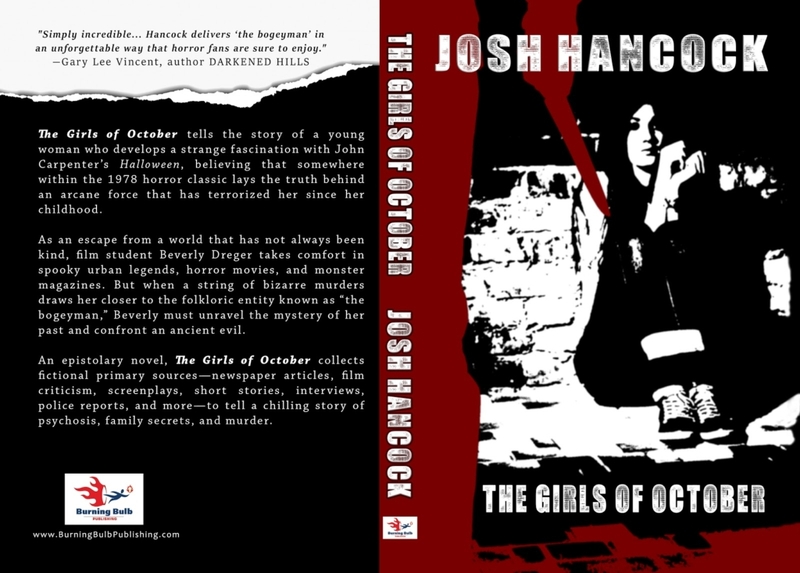 Author Josh Hancock is also a teacher, and The Girls of October is his debut novel. It was inspired by his love of all things horror — especially John Carpenter’s Halloween, Tobe Hooper’s The Texas Chainsaw Massacre, and William Friedkin’s The Excorcist. I can’t wait to read more from this talented, highly authentic and provocative writer.